I have uploaded the latest version of HSMAdvisor today. It is a minor update that adds in-app registration for existing users with unused seats. 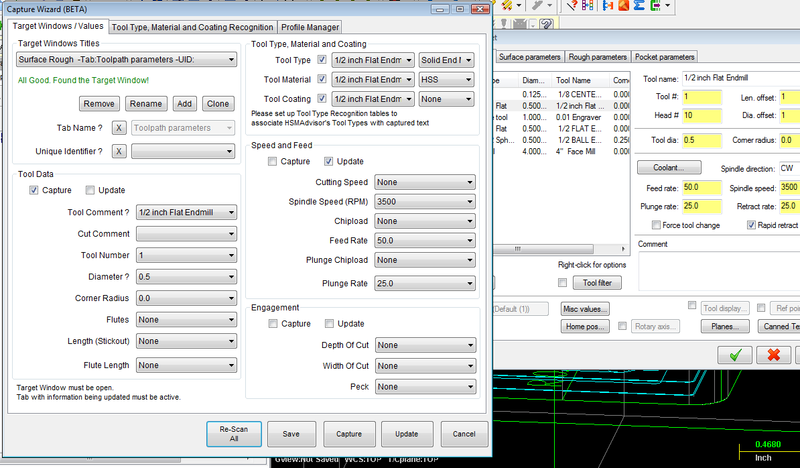 Also have just completed MasterCAM x2 integration profile for the Capture Wizard. I did not have time to include it into this update yet, but you can download it below.